If you listen to any news station you hear it all the time, crime rates are growing at an alarming rate. It is imperative in this day and age to take a proactive approach to home security. Home security camera systems may be just what you need to take your security to the next level. If you became a target for a home invasion do you have the necessary security equipment to deter this type of crime? If not it might be time to start considering some basic security equipment that can give you the protection you may need if the unexpected should happen to you. 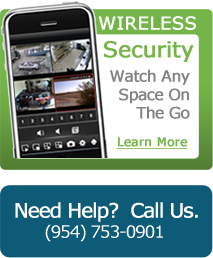 A home security surveillance system can protect your property in case an intruder picks your house to burglarize. Security camera system is a great first defense in keeping your residence safe. 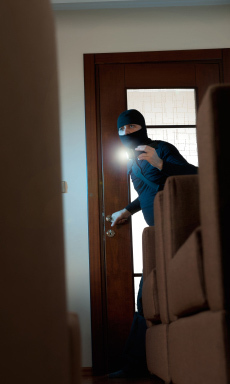 Home security surveillance can be a relatively inexpensive way to protect your belongings. There are many types of cameras that can be easily installed. If you want surveillance camera that sees moving objects in the dark you will need an infra-red camera (IR camera). This technology uses special lights around the camera lens that make the area look as if a bright light is shining in the area being monitored. This is the same technology that law enforcement agencies use. Now this technology is available to home owners who want to secure themselves. Surveillance cameras are becoming more popular and more available to home owners. Businesses are not the only ones that can afford the technology and benefits of security cameras. Surveillance cameras systems can be as simple or as elaborate. We also carry a wide selection of DVRs to finish off your security needs.